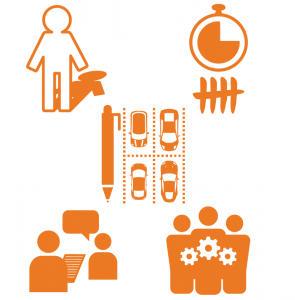 Dealership research and improvement programme for better customer experience, efficiency and flow- Dealership Discovery. ► Solve the problems that are frustrating your customers today. ► Implement solutions that will improve the experience, reduce waste and improve flow. ► Demonstrate whether new formats and technologies are working and quantify ROI. ► Compare experience, efficiency & flow across your network and improve low performers. ► Reduce waste and focus resources on what is most important for customers. ► Find an ‘agile’ approach to developing future services and formats. Dealership Discovery gives dealerships the better insight and analytical data they need to do this. Dealership customer experience improvement starts by understanding real experiences. Understanding real experience starts by studying what real customers do. Studying and talking to real customers will give you real insight to solve problems and make improvements. Dealership Discovery is studying and talking to your real customers, both happy and unhappy, in your real locations. 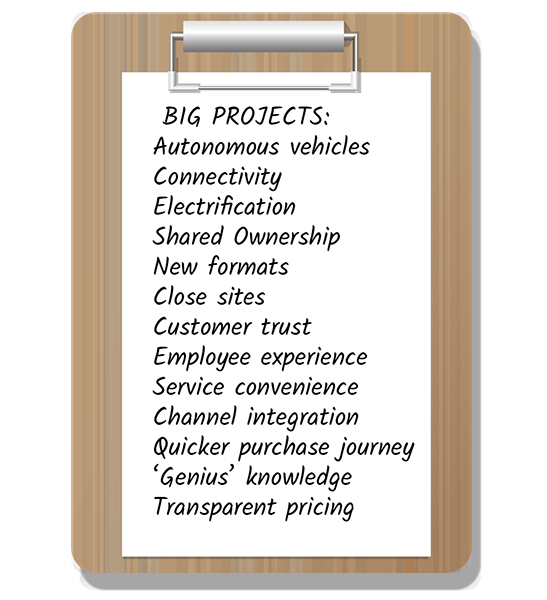 Nobody knows today what physical automotive dealership formats customers will expect in five or ten years time. 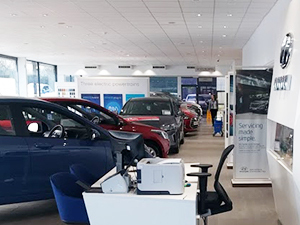 Dealerships do know that customer footfall at their sites is forecast to decline. They also know that more competition will emerge from low cost ‘disruptors’ with digital-only channels. They know that to be successful they need to use the advantages their networks of physical sites give them. To do this, they know they need to make the most of every customer visit. Like other ‘bricks and mortar’ retailers, dealerships need to know much more about their real customers to be able to meet their expectations. They need to know more about what they think is important, and what impacts the real experiences they have when they visit. However, the insight and metrics that most dealerships are collecting today are leaving a lot about what actually happens at the dealership unknown. All dealerships use customer insight and analytical data to improve their online and social channels. In contrast, most collect little information about the activities that take place at their physical sites. This has created an information ‘blindspot’ for what is both their most expensive touchpoint, but also their best source of competitive advantage. What is more, it is here that most customer interactions are taking place and they are saying they are most frustrated with their experiences. Anecdotal information and broad survey data gives clues to where these customer frustrations lie. However, this information can be unreliable and lack the detail that dealerships need to take action or to justify investment in improvements. Like most retailers today, dealerships need better insight into what is happening at individual sites to solve customer problems and raise performance. They also need metrics that bear relevance to the expectations of today’s customers, which they can use to make and measure improvement. There is no shortage of strategic advice for dealerships in the many reports published by big consulting firms – (For example). There are many competing predictions about the future impact of autonomous vehicles, shared ownership, electrification, connected data and new low-cost competition. However, all firms state with certainty that future success for dealerships is dependent on being able to give a great experience to both customers and employees. All firms are also advising that dealerships need to plan to develop new formats and services. They recommend an ‘agile’ approach to this that continually responds to rapidly changing customer expectations. There is a sense of urgency for dealerships to make an immediate start. However, there is little guidance on what the first steps those dealerships who want to should take. Nor is there practical advice on how to review initiatives that they have already taken. To set off in the right direction, dealerships need a way to determine priorities for immediate action. To start a process of change, they need a way to create momentum by developing quick wins. To develop a longer-term strategy they need to discover opportunities and develop the concepts, targets and baselines for larger projects. It is certain that dealerships need to know more about the actual experiences and expectations of their customers and employees. A project to capture this sort of information, whilst studying performance at different locations would be this practical next step for many dealerships. Those that want to take this next step to improve dealership customer experience now need to find an approach to do this. 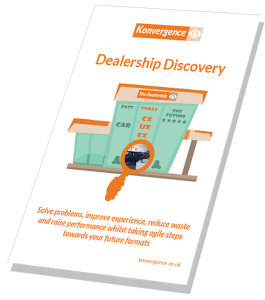 Dealership Discovery is a proven approach which has already delivered benefits to dealerships and their customers. Any strategic dealership project will need relevant and practical metrics to measure performance and demonstrate success. Customer demand, demographics, needs and need states. Waiting, service and transaction times. Workshop and facilities utilisation and activity. Marketing and display attention and interaction. Employee friction and work constraints. Equipment and technology engagement and utilisation. We have tested many different approaches to find the best ways to understand the experiences that people have in different buildings and spaces, and the effects they have on business performance. In most cases, the best approach is to send a small research team ‘into the field‘ with a combination of simple research techniques and equip them with simple non-technological tools like pens, paper and clipboards. This is our approach and we call it Discovery. In an increasingly digital world, some clients have said our approach is ‘analogue’. We like this analogy! Dealership Discovery combines simple techniques developed specifically for dealership customer experience and efficiency research. It gives you a practical way to understand the real experiences of your customers and employees in your real locations. It tells you which of your resources are supporting your real customer journeys, and which you are wasting. You can expect to discover deep insight and detail about your real customers that you have never had before. This information will make it easier for you to solve problems today, and design for the changing needs and expectations of tomorrow. Right information at the right time. Easy to learn and train others. Read on to find out more about these techniques and a few short case studies which give real examples of the benefits that we have delivered in dealership environments using them. Download our guide to find extra tips if you want to try them for yourself. If we recommend you use only one customer experience research technique it would be Customer Tracking. Customer Tracking is a simple technique but a great way to understand what is happening at a dealership and find out what is affecting customer experience. Customer Tracking is following customers and watching everything that happens. Often by tracking just one customer, you can learn something about the experiences you are giving that you did not know before. Tracking will also reveal truths about how well your physical formats and spaces are working for you. This makes it an ideal preparatory exercise for designers of service processes or physical formats. 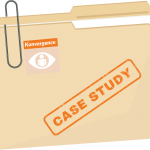 If you have never tracked customers before, you may be surprised at what you see. What you assumed customers would do, and what they may tell you they do in a survey can be quite different from what you observe they actually do. By tracking customers you will capture compelling ‘stories’ about the actual visits of your real customers. You will be able to describe in great detail, customer journeys both good and bad and give real examples. 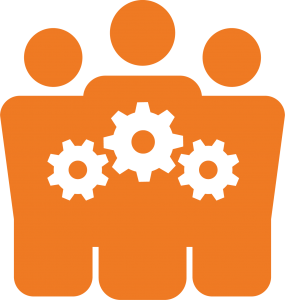 You will collect detailed information about who exactly your customers are and why they come. You will see for yourself what constrains employees and what helps them. Tracking will also give you useful metrics that measure how the dealership environment works for your customers. You can use these metrics as baselines, to set targets and to measure ROI for any improvement project. Not a great start to the vehicle service experience for one customer we tracked and interviewed. She told us she was made more frustrated by the obvious opportunities she had seen to improve her experience that had been ignored by dealership employees. When this customer returned later that day the dealer principal greeted her, apologised and personally handed over her vehicle. Some trust had been restored. Without tracking ‘real’ customers, the frequency and details of bad experiences like this for ‘real’ customers remain unclear, unreported or often just unnoticed. Counting and timing studies give you the data that shows how well physical retail environments are working as a system for customers. You can capture metrics that decode what is influencing ‘path to purchase’ decision making and use them to improve performance. 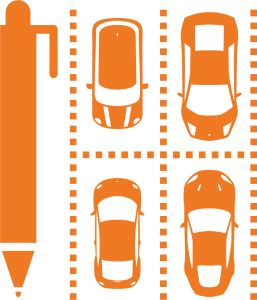 To solve problems, you can focus activities on capturing information about specific zones, processes, activities or behaviours – such as investigating why parking problems occur. These types of study are also ideal to investigate the root causes and cost of inefficient activity. They are also often the only way to collect detailed information and data about who is actually visiting the dealership and why. This could be numbers and timings of visitors by customer demographic, group size, need (eg. repair) and need state ( eg. right now!). These study activities will identify simple metrics, such as waiting times, that can help you understand customer experience, but are usually ignored. Once known, these metrics will help you make better decisions about how to improve the environment for customers. This could be decisions about staffing levels, training, layouts, and the positioning of products. We usually time customers waiting in queues, interactions with employees, and how long it takes for a service activity to complete. The data we collect allows us to calculate the capacity of the dealership to serve customers, and identify ways it can be increased. It also gives us the metrics we need to quantify wasted customer and employee time, for example, spent waiting, repeating information, or looking for something. We count ‘footfall’ at site entrance points and building doorways to measure customer demand and to understand its peaks and troughs. We also count customers as they enter sales forecourts, approach service desks, or as they pass individual vehicles on display. 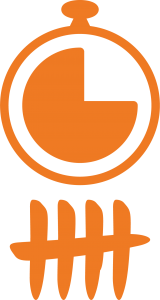 We quantify ‘behaviours’ such as discussions with employees, glances at signage, interaction with technology, or handling products. For example, we capture data about what customers do with vehicles on display such as ‘look’, ‘get-in’, ‘touch’ or ‘ignore’. 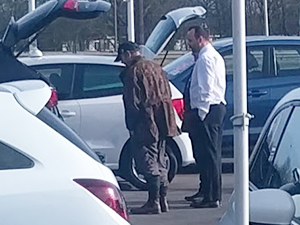 At one dealership employees were using the parking area of a disused building some two minutes walk away as an unofficial overflow parking area. Though this extra time spent walking seemed only a minor inconvenience to employees, the hidden cost of this inefficiency was over £15K per year in non-productive time. The solution was to proactively manage space on site. This would make sure convenient parking spaces were always available where and when they were needed. At another dealership, we identified that 20% of visitors to the site were not customers. These visitors were mostly family, friends or colleagues of service customers, who were dropping off or picking up. Some dealerships are today trialling new formats in high footfall locations such as shopping centres to create awareness with new customers. Therefore we were surprised that no attempt was being made to interact with this well established and predictable daily footfall. Longitudinal study techniques will decode the causes and cost of inefficiently allocated resources. Often this will be wasted space, facilities, equipment and employee time. The data you collect will also allow you to understand the causes and cost of a lack of or scarcity of resources, such as on-site parking space. In addition, longitudinal data will identify patterns of customer and employee activity which will show over time where customers are, where employees are, and what both are doing. In resource longitudinal studies, we capture data periodically in a consistent way to create timed ‘snapshots’ of the environment. We record what is in use, what is not, and what activities are taking place. At dealerships, we observe the utilisation of service ramps, parking spaces, and storage zones. We also record the actual utilisation of physical things provided to improve customer experience. By doing this we can prove if such resources as waiting space, interactive technology, furniture, and vehicles on display are actually used and worth investing in. One dealership was receiving a significant number of customer complaints about parking. Using data we had collected we could see that the area allocated to customer parking was not big enough to meet demand at peak times each day. However, the perception of employees was that there was not enough space on site for all the different activities taking place there. This led employees to make the problem worse by competing for space and using customer spaces for their own operations. We were able to demonstrate that at peak times both sales and service yard parking were far from full. However many spaces were trapped so not convenient for use. As well as complaints, this ‘space management’ problem was causing employees to waste time looking for spaces to park. The hidden annual cost of unproductive technician time alone was over £20K. We designed a simple and practical model for the dealership team to manage space. It made sure that convenient spaces were always available where they were needed, both for customers and employees. Interviewing customers to find out how they feel about a recent experience right after it has happened is a very effective way to get insight. What is more, talking to an unhappy customer at that time may be the only opportunity to elicit feedback in a detailed and structured way. Many unhappy customers, when approached with empathy, are willing to talk about their frustrations. Capturing this qualitative information gives valuable insight into how service can be improved. However, in many places unhappy customers are often not recognised, acknowledged or approached. Most say nothing and don’t return. They also rarely give feedback about bad experiences in surveys. 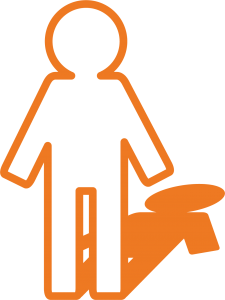 In most cases, the opportunity to recover a customer and learn to do better is lost. At dealerships, we ask customers questions about the stages of sales and service journeys that they have experienced. We ask what was important to them and how they think the dealership team performed. Conducting interviews in this way helps identify ‘service quality gaps‘ which must be prioritised for action so that the dealership is trying to do best what is most important to its customers. In one location 95% of customers told us that finding a parking space was very important to them yet 70% said they had difficulty parking that day. Also 66% of customers said that parking impacted their buying decisions. 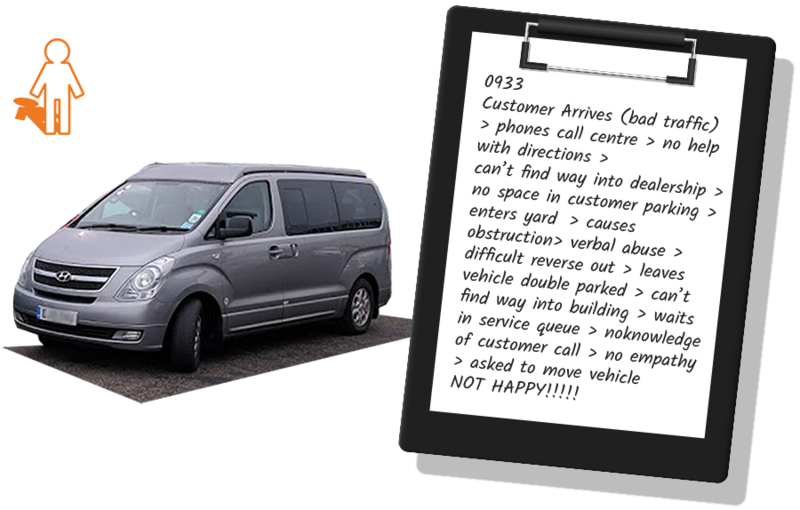 This ‘service gap’ was an opportunity for the dealership to improve experience and was made a priority for action. 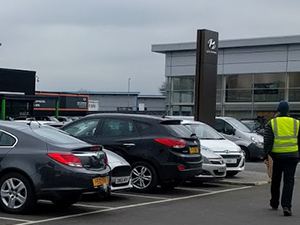 At another site, an unhappy customer collecting a new car told us that if she had had a similar experience on her previous visit she would have not placed her order. For many people, the biggest impact on experience can be the ‘human touch’ of face to face service. Customers can be very sensitive to employee attention. Many remember the interactions they have as much as the product or service they receive. Especially when a customer perceives outstanding or terrible service. You can structure discussion with employees by decoding recent customer interactions together. Comparing both the good and bad customer journeys that you have seen that day makes it much easier for employees to remember and reflect on what has happened. By doing this you will help employees to understand what is most important to customers. This is essential to close ‘service quality’ gaps and improve service encounters. When we discuss the bad experiences we have seen with employees, we often hear wrong assumptions about what is important to customers. We also hear scepticism about the validity of customer dissatisfaction. We might identify little ownership of customer problems and low levels of advocacy for expectations. All these issues present opportunities for immediate improvement. Customer satisfaction and employee satisfaction in physical service environments typically track closely with one another. We often say customer experience ‘reflects’ or ‘mirrors’ employee experience. Therefore enlightened retailers have recognised that undertaking more ‘field-based’ research also gives them an opportunity to interact with employees when and where they are creating value for customers. 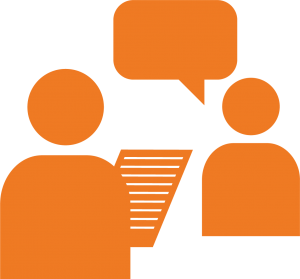 Being able to discuss actual customer experiences is giving insight that surveys and review meetings are missing. 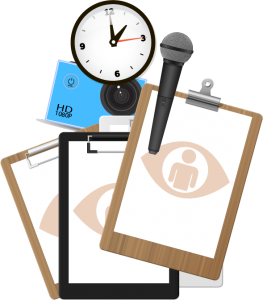 In employee interviews, we also dig into the ‘why’ of what we see happening. We ask employees what it is like to work there, like customers often do. We uncover those things that employees feel are constraining their work but may not be reporting. We find truths about how employees follow or ignore official rules and guidelines. We decode what unofficial rules, conventions and habits they have adopted to make their work easier. At one dealership employees told us customers complained too easily about parking and that parking was not important to them. It was clear that no one working within the sales or service teams felt that they were responsible for ensuring that customers could park easily. In contrast, customers told us about the difficulties they had experienced trying to park. They also said it even influenced their decision- making about which dealership to use or even which brand of vehicle to buy. We had also observed customers abandon their visits and drive away. At another dealership, one employee described how different teams with separate tasks and priorities had to compete with each other for resources, including space. There was a clear opportunity to develop a ‘joined up’ approach to customer service around customer goals. This would bring benefits both to the dealership and its customers. One example was referrals to the sales team of customers close to the end of their leases or with older vehicles who were interacting with the service team. Don’t forget to get Our Free Dealership Discovery Guide!